The Keystone Group, a consultancy with a focus on creating value for middle market companies and improving their profitability, is pleased to announce the promotion of Joe Zito as he steps into his new role as a Director of the Chicago-based firm. Zito, an exceptional Keystone Group professional since 2000, joins a talented pool of Directors led by Andy Rolfe, the Managing Director. “Credibility is one of the biggest things I stress to executives we work with at Keystone,” Zito said. “Data matters, interpreting data well matters even more, but the real goal is to produce tangible, sustainable results for our clients.” He added, “I always believe that it’s the leadership that sets the high bar in terms of creating a culture of excellence, and I’m fortunate to be part of a firm that lives those values." To that end, Zito joins Rolfe in congratulating several other Keystone Group staff members recently promoted. 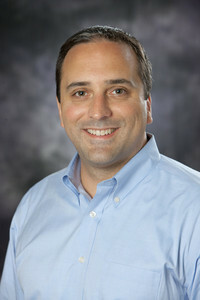 They include Anthony Urbaites, who rejoined Keystone in 2012 and will now serve as Senior Principal. Urbaites, an MBA graduate of Northwestern University’s Kellogg Institute, also has worked at Aurum Consulting, Louisville Stoneware and Nestle USA. New Keystone Principals include Danielle Moushon in the Atlanta office, and Brad Terry in Chicago. Additional promotions at Keystone include Jessica Markowitz, Todd Mowry and Lee Feingold, to Senior Associate in the Keystone Chicago office; Rob Cerato and Evan Farrell, to Associate also in Chicago, and Ryan Burkard, to Senior Analyst in Chicago. The Keystone Group has a strong focus on accelerating value creation for its clients by working closely with clients as they transition through critical trigger points, including M&A, turnaround, and other profit improvement initiatives. Targeting middle market companies, Keystone's goal is to deliver a 5x to 10x annual return on consulting spend, by driving successful outcomes for clients. Keystone boasts clients across many different industries, and particularly prizes its client relationships, many spanning over more than a decade. For more information on Keystone, please visit http://www.thekeystonegroup.com/.